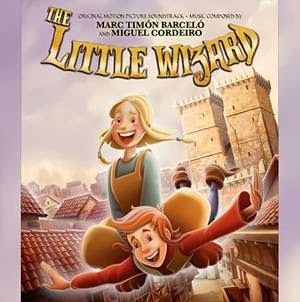 Nominated for the Jerry Goldsmith Award at the International Film Music Festival in Cordoba as well as the Spanish Film Music Critics Award, the original orchestral score for the Spanish family animation The Little Wizard is a truly outstanding and impressive achievement by up and coming composers Marc Timón Barceló and Miguel Cordeiro. Any fan of big, classical and thematic film music will love this score which features a striking main theme in waltz meter, many exciting action scherzos and an abundance of engaging melodic writing. Purely orchestral with additional choral colours in places, this score deservers an international audience although the film itself has only been released in Spain so far. The film premiered at the San Sebastian International Film Festival in September and gets its theatrical release in Spain on November 15. Enjoy one of the best film scores of the year! Listen to samples and preorder the CD here: IT'S MAGICAL! 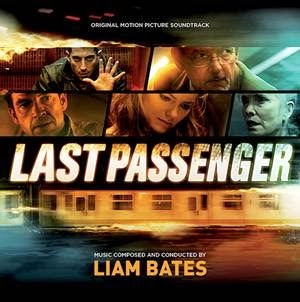 Coinciding with the theatrical release of the film in United Kingdom, MovieScore Media and Kronos Records releases Irish composer Liam Bates high-octane action score for Last Passenger, an intense genre movie taking place on a speeding London commuter train. Influenced by some of the most stylish and effective of Jerry Goldsmiths action scores from the 1970s and 1980s, Bates has composed a truly exciting, dark and interesting orchestral score that will attract fans of classic action film scoring. Director Omid Nooshin wanted a score unrepentantly musical and expressive, a throwback to a bygone era of thrillers which inspired my movie in the first place. Hence, the orchestrations features an emphasis on brass and percussion with a lot of agitato string writing in the rhythmic writing, juxtaposed by reflective melodic themes. Film music surprise of the year? Listen to samples and preorder the CD here: ALL ABOARD! 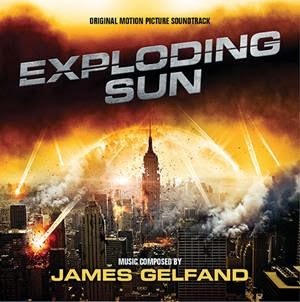 Featuring a highly energetic and exciting action score composed by Canadian composer James Gelfand, Exploding Sun is a sci-fi movie about the catastrophic consequences of a hyperactive sun. This is yet another example of a low budget television score of a quality that both adds production value to the film itself and is an exciting listening experience on its own. Canadian composer James Gelfand, whose other credits include Cyberbully and Swamp Devil, pulls out all the stops to create an intense listening experience with tense harmonies and driving percussion but also uplifting themes and more reflective work. Listen to samples and preorder the CD here: DANGER, EXPOSURE TO THE SUN! 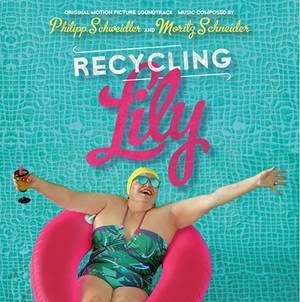 Directed by newcomer Pierre Monard, Recycling Lily is a romantic comedy about a meticulous garbage inspector who falls in love with the mother of a notorious litterer - an unusual story which is boosted by a warm and very impressive soundtrack composed by Philipp Schweidler and Mortiz Schneider, beautifully orchestrated by Robin Hoffmann. Imagine Fellini meeting Tarantino and you have the main ingredients of the score where influences of Nino Rota are juxtaposed by surf rock guitars Morricone style. The orchestral music has a lightness, beauty and charm that is reflected in the main theme (a whimsical waltz) but also in the more emotionally charged pieces such as Emma Falling and Fat and Lonely. The entertaining soundtrack also features the up-beat song Nobodys Perfect featuring William White which sums up the film perfectly. Listen to samples and preorder the CD here: LIFE IS GOOD! sounds like I would enjoy THE LITTLE WIZARD!